Danny Kaye of 20th Century Fox has revealed that the movie studio is still behind the UltraViolet digital locker service but much more needs to be done before it adds its own content to it. 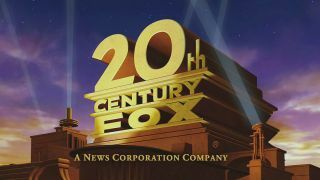 Fox has been part of the UltraViolet digital locker initiative since the start, but the service has had slow take-up in the US where it was first launched and also in the UK - where it launched in December 2011. At the present time, Fox hasn't added its content to the service, despite being a mouthpiece for the service, but Kaye assured this was coming once UltraViolet improves and once retailers start supporting it. "Today's fragmented digital world does not give users access all of the time to their content and we need to deliver with and without the internet." "We have been working on UltraViolet since the beginning – and we view it as a very serious work in progress," explained Kaye at the PEVE conference in London, with TechRadar in attendance. "We want to make sure that UltraViolet is as good as it can be. The quality of the experience and the ease of use remain hyper critical." Kaye, who is the executive vice president, Global Research and Technology Strategy at Fox, said that the improvements that need to be made are everything from how UltraViolet works and the support is has been given. "You will see Fox content on UltraViolet when a common file format is available, the user interface is improved and retailers are more involved. "When it comes to Ultraviolet, we are not trying to replace the retail environment – they will become more involved when UltraViolet becomes bigger." One of the more recent retail players to sign up to the service is Amazon, which will make the lack of Apple that little bit easier to swallow. One of the ways the retail space could help UltraViolet is by offering digital copies of older movies. This is something Wal-Mart is offering in the US and Kaye Kaye assured the audience that more on this was coming, but he also revealed that an offline ecosystem also needs to be made. "We will be announcing more on the Wal-Mart programme of getting their older content online soon." "But today's fragmented digital world does not give users access all of the time to their content and we need to deliver with and without the internet." This offline version of UltraViolet is currently called Project Phenix and is collaboration between Fox, Warner Bros, Western Digital and San Disc. "We will be giving the local storage to consumers which they will need," said Kaye. "When we do allow consumers the kind of interactivity we want to give them – files will have to be backed up in local storage. That means there's going to be big files so we are teaming up with hard drive manufacturers to make this a reality." Kaye seemed quite grounded when it came to making UltraViolet a reality, revealing that simplicity is the key to the service's success. "By translating the positive lessons of the analogue world to the digital world, we want to make all aspects of the digital experience to work as simply as a DVD," explained Kaye. "We have to make it simple."